The Minister of Finance, Mrs. Kemi Adeosun, ‎set out the government’s plan to reset the nation’s economy at a special programme organized by the Lagos Business School. • Fund the budget deficit and negative trade balance cost effectively. “In the past, we had the means but not the will. Now we have the will but we no longer have the money to invest. The safety blanket of oil has been ripped away, laying the poverty of Nigeria’s institutions bare. She stressed the need for the country to collectively adopt a blueprint that equips the future generations to be creative and dynamic. The blueprint, according to her, should also allow the drivers of the economy to articulate a vision of a Nigeria, with a strong educational foundation; rich in depth of knowledge with a breadth of skills, an expansive infrastructure capable of servicing the needs of a nation of 150 million Nigerians. “We are a nation of entrepreneurs, and our entrepreneurs need reliable infrastructure, skilled employees and transparent systems and regulation that support them as they grow. We are introducing sound policies and robust systems that will benefit the micro, small and medium enterprises. “With courage, discipline and open minds, we begin our journey to build an economy whose resilience is not controlled by oil prices, but by our determination to reset the economy and finally give our people the chance they deserve,”‎ she posited. • Jobs and wealth creation. 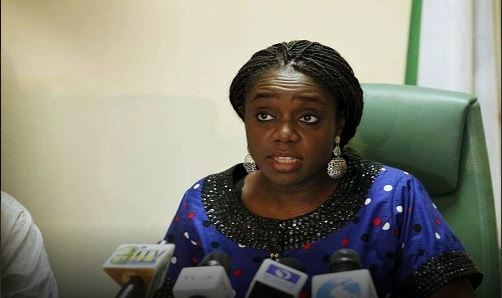 On government’s plans to borrow N1.8 trillion to fund the 2016 Budget, Adeosun said the funds would be invested in priority areas such as Roads, Transport, Power, Health and Housing. “We are committed to a counter cyclical budget expenditure model. This has been a success in other nations, offsetting the risk of recession and creating an economy which is not based on either fragile consumer spending or over-reliance on oil,” said Adeosun, who was Ogun State Commissioner for Finance between 2011 and 2015. She, however, warned those thinking the borrowing would open the door to renewed fiscal indiscipline that she planned to continue her “aggressive programme of fiscal housekeeping”. She said: “We must safeguard this borrowing, ensuring that the wastage within the existing systems are firmly addressed.